For over 180 years, the Palmeira and Adelaide area has retained a special character and dignity as one the foremost architectural set-pieces on the south coast. 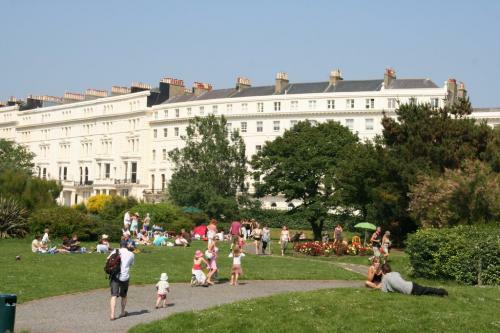 It is often described as one of the two bookends to the city, Lewes Crescent and Sussex Square being the other. Like its counterpart, this Crescent and Square has always offered a particular quality of life and enjoyed a broad spectrum of residents. Protection of the buildings under both Listing and Conservation Area legislation has ensured that the special character and streetscape will be preserved. 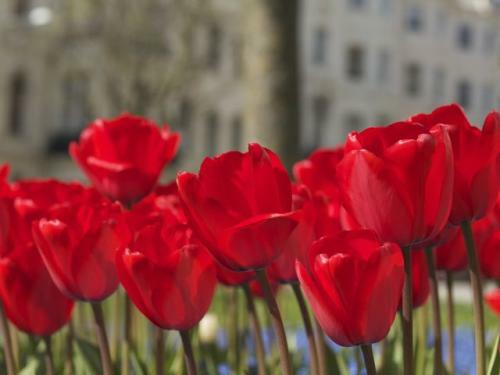 Although we know something about the building construction of the Crescent and Square, it is not apparent when the planting of these two gardens first took place. Originally both gardens were enclosed and reserved for the use of the residents only. During World War Two, as part of a nationwide propaganda motivational exercise, the railings were removed for use in the war effort. Like much metal collected at this time, including loads of saucepans, the railings were never used and finally dumped in Shoreham harbour. 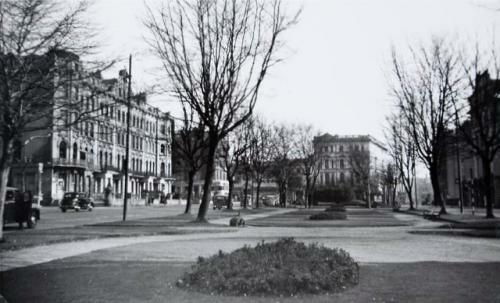 In spite of a survey by Hove Borough Council after the war, due to lack of positive response, the square and crescent gardens were adopted for public use and the upkeep assured by the council. This is the way they have stayed. By the 1970s much of the gardens had deteriorated and shrubbery and trees were sparse.  In 1998 The Friends of Palmeira and Adelaide (FOPA) was formed and gradual improvement was made in association with the council. 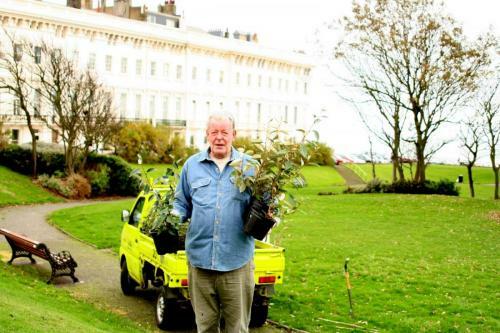 Residents have been generous and sponsored tree planting. One example is the curve of cherry trees in Palmeira, also the smaller and recently planted Holm Oaks. Council’s replanting is sometimes with the help of residents, for example the Elaeagnus hedge growing well at the north curve of Adelaide. Pamleira Square and Adelaide Crescent holds some of the finest architectural detailing along the South Coast. Please send us some of your photos to be displayed in the gallery. This is a free-flowing blog space – ideas, moments and memories all welcome. 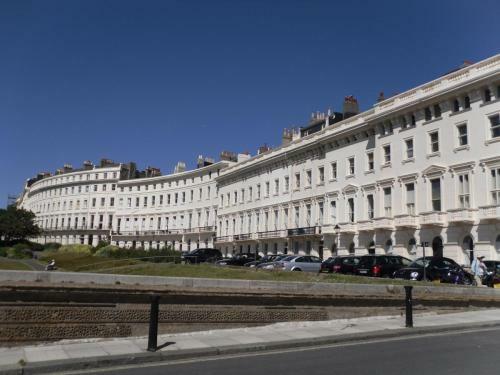 If you walk your dogs here, have picnics with friends and family, or meander through on your way to the seafront, life in Palmeira and Adelaide soon becomes part of your lifestyle. And a many varied lifestyle that is, with the wide diversity of people that live in this area. So let us know what you appreciate about life in Palmeira and Adelaide, and what this unique ‘village square in the city’ means to you. 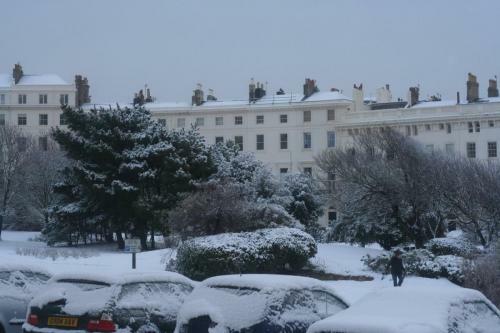 White winter scenes are rare in Hove, but when they do happen our residents have been out with their cameras to capture the square and crescent under a white blanket of snow. Do you have photos of snowfall in the gardens you'd like to share?